An all day event Centering African, Caribbean, and Indigenous people's collective resistance and resilience across generations. Learn more about this gathering and grab your tickets here. How can we live lives that our descendants and the next seven generations can be proud of? How can we walk with integrity in the face of an uncertain future? 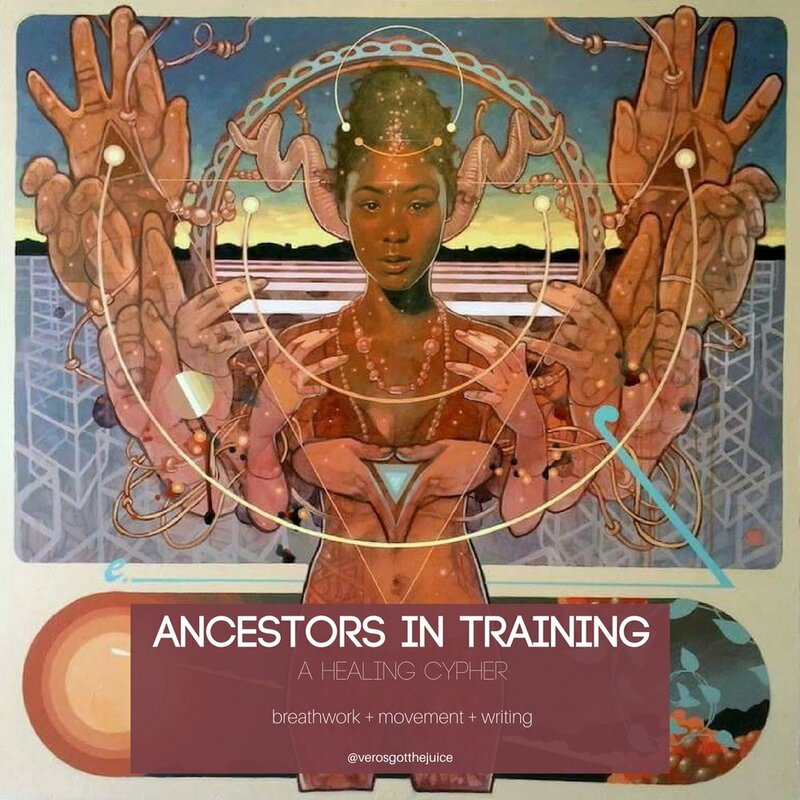 During this cypher, collaborators will explore these questions through a guided healing practice featuring breathwork, a shaking meditation and spellwork (writing) with the intention of rediscovering how to navigate being Ancestors in Training. Collaborators will receive a special edition of an herbal aromatherapy spray hand-crafted by Veronica. * This session will be offered as a part of the conference. More details on how to sign up for this specific session will be released as the conference date approaches.